When a Home Should Be Inspected is entirely up to a home owner, but we recommend frequent inspections to stay on top of issues that may creep up, especially with homes in Mobile Alabama and along the Gulf Coast. If you live in Mobile Alabama, an annual home inspection is recommended. The weather and the heat can take a toll on homes in Mobile and you may have leaks or issues that you are not even aware of until it’s too late and now you are facing an expensive repair. An annual inspection will keep your home in tip-top shape much like the importance of a medical physical for your body. If you are planning on selling your home in the new feature we encourage you to go ahead and schedule a home inspection well ahead of placing the home on the market. This gives the homeowner time to correct any major or minor issues to avoid losing money during the sale of your home. This will also speed up the process of selling your home by not having to wait on a home inspection to be completed before it can be placed on the market. If you are potential home buyers, it is STRONGLY recommended that you get an inspection of the home before making a purchase. This allows you to avoid buying a home with major structural or system issues and costing you tons of money. We have all heard nightmare stories of people buying a home with a cracked foundation, improperly installed roof or a home suffering from major insect damage (termite damaged wood). At N-Spec Home Inspections all of our Mobile Alabama home inspection services are thorough, we do the same type of inspection for an annual inspection as we do for a home buyer’s inspection. We will spend the same amount of time on ALL inspections. 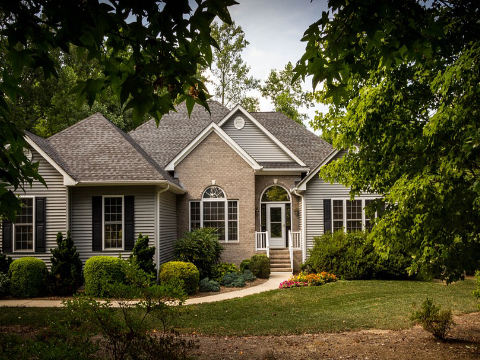 We provide Mobile Alabama home inspection services for home owners, home buyers, home sellers, real estate agencies, banks, mortgage companies, professional builders, commercial buildings, and basically anyone wanting peace of mind that a home or structure is safe and free from any issues.